Yes, it does snow here once in a while! More common is the heavy rain in the bottom pictures. 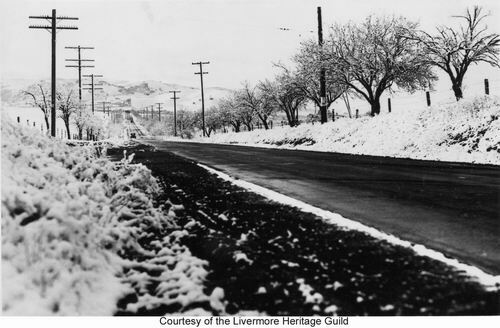 Weather data back through 1930 shows appreciable snow only once: January 24, 1949, when it snowed 3.0 inches. The first two photos were originally listed as "about 1950". The weather data narrows it to 1/24/1949. Arroyo Rd, looking south. 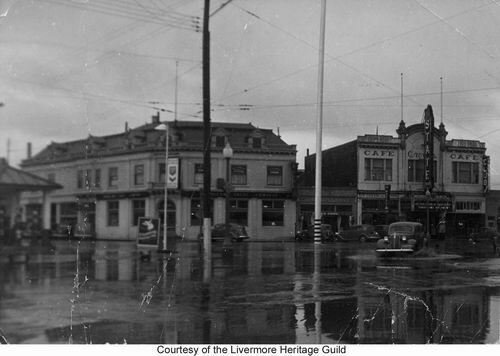 This is most likely January 24, 1949, when 3 inches of snow fell in Livermore. 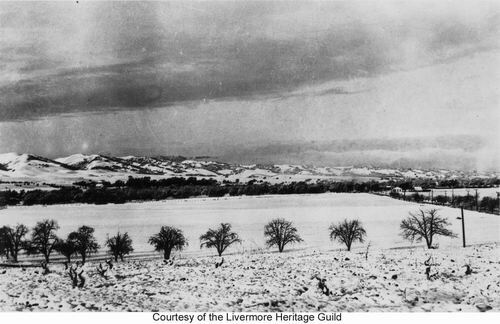 Probably taken January 24, 1949 from Arroyo Road, Looking across the road down to Olivina, Wetmore Rd on Right (Looking West) from post card. 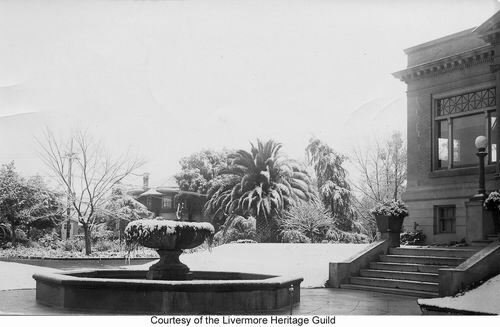 The trees are along the driveway to the Olivina house (no longer there) and winery. The "Olivina" sign would be to the right. Stereograph. 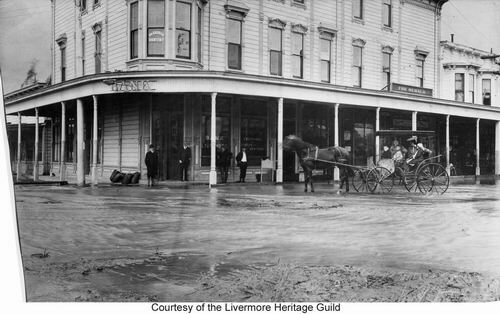 McLeod building flooded "Flooded conditions at Bank of Livermore. With shovel - Fred Mathiesen, cashier of Bank. 1906-07. 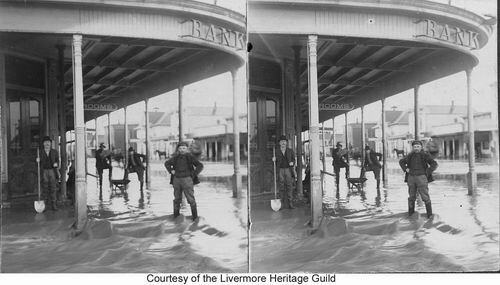 McLeod Building flooded, 1906-07. L-R standing 1. ? 2. Fred Mathison, cashier. 3. Fred Lassen, 4. Dr Savage Sr. In carriage is Mrs Del Savage (front), her daughter May, & Del Savage's Grandchildren. 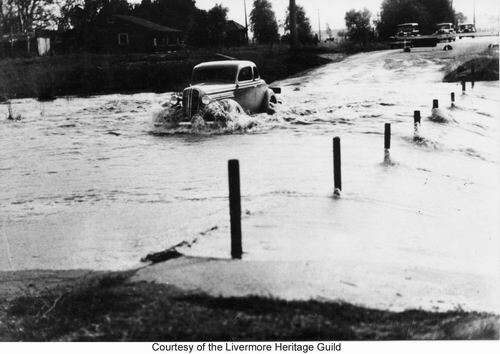 Holmes St fording Mocho Creek about 1935.